We are located in Broomfield, Colorado, near the foothills of the Rocky Mountains, 10 miles from Boulder and 17 miles from Denver. Denver International Airport is 30 miles from our offices with direct flights from most major US cities as well numerous international flights. Nearby attractions include beautiful mountain scenery, hiking, numerous parks including Rocky Mountain National Park, shopping and fine restaurants. Nearby Denver offers the attractions of a major city including a world class zoo, botanical gardens, major league sports, etc. See http://www.bouldercoloradousa.com/visitor/ for Boulder attractions. See http://www.denver.org/ for Denver attractions. You will need a car. Typical car rental rates can vary from $250 to $600 for the week, according to the size of car and season. 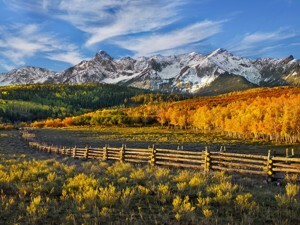 With 300 sunny days per year, Colorado is a popular vacation destination due to our spectacular weather and proximity to mountain recreation, including skiing in winter and Rocky Mountain National Park in summer. 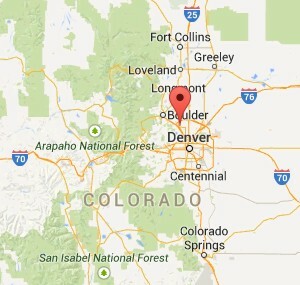 The area surrounding Boulder, Colorado is considered the high-desert, with an altitude of 5,400 above sea level. This elevation ensures a mild climate with very little humidity in the summer and winter months. The warmest month is July with an average daytime temperature of 87 degrees Fahrenheit. You may need a sweater at night as temperatures can dip into the 40s. January is the coldest month, with an average daytime high of 45 degrees. The Boulder area offers the perfect climate for a variety of summer recreation, including hiking and biking. In winter, we are within driving distance of world class ski resorts such as Vail and Breckinridge (both 2 hours), Aspen/Snowmass and Steamboat Springs (both 4 hours), along with many others. Lodging and meals are not included in our programs. The area has a large number of hotels for every budget, including hotels with suites. Because prices change constantly, we suggest checking a travel site for current costs. In addition, AirBNB and VRBO list rental apartments by the owner than are often comparable to hotel rooms. Search in the following towns, all convenient to the Growing Minds office: Broomfield, Louisville, Boulder, and Westminster. The area is known to be autism friendly, with many restaurants offering gluten-free selections.